I was bored one day, then I happened to come across some stock photos, which I came to like, and decided to do photo manipulation. I did the background first, adding the stock, adding effects with brushes and using the blending options. I used grungy textures to give that enigmatic effect. You know, I was supposed to use a real-life person for a model here. 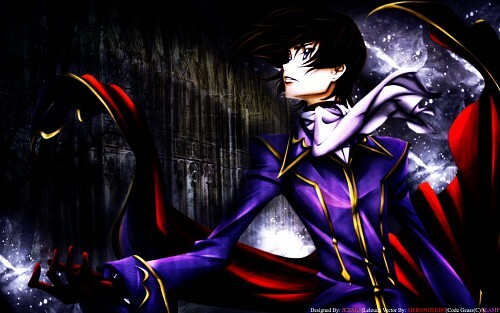 But when I saw this awesome vector of Lelouch, I figured that he'll be perfect for the wallpaper. I worked on the contrast, lighting, and texture for Lelouch here. Isn't he just handsome? I love the dramatic pose here. The title Delusory Warlock was taken from Dissidia Final Fantasy. The name is the MANIKIN version of Golbez (FFIV).